Singapore Yacht Show set for "runaway success"
Preparations are in full swing for the ninth edition of the Singapore Yacht Show next month. The four-day event, which will take place from April 11 – 14, will once again be hosted at its long-standing location the ONE°15 Marina in Sentosa Cove. 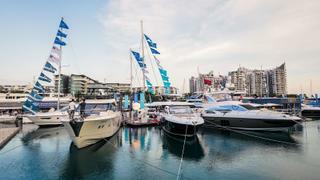 Boasting a greater roster of yachts than anywhere else in the region, the Singapore Yacht Show will welcome exhibitors including superyacht builders and product manufacturers, along with a raft of luxury lifestyle brands. The show will kick off on April 10 with the Singapore Yacht Show Gala Evening and Awards, a black tie 1920s-themed event held at the Capitol Theatre. Meanwhile, a number of regional debuts have been confirmed. The F45, Y85 and R35 models from Princess Yachts will all have their Asian premieres, alongside Sanlorenzo’s SD126 and the SL86. The MY40 and Alegria 67 models from multihull specialist Fountaine Pajot will also have their Asian debuts. Elsewhere the Floating Leisure Hub, which will be located in the middle of the marina, will feature demonstrations of the latest toys, including Jet Skis, submersibles and drones. 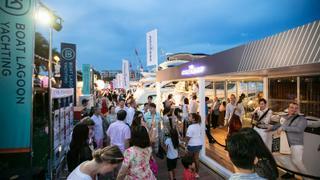 Chief executive of Singapore Yacht Show organiser Verventia Andy Treadwell predicted the show will be a “runaway success”, reprising 2018's performance. “The fact that so many world-leading boating brands have once again chosen the Singapore Yacht Show 2019 as the platform from which to launch their latest models into the Asian market is extremely gratifying,” he said.